Florida’s Everglades are a one of a kind ecosystem. These swampy grasslands offer an unsurpassed experience for Fly Fishing. The angler can expect to reel-in Tarpon, Sea Trout, Redfish and much more! No matter where you reel-in fish, the essence of Fly Fishing is in the Fly. According to Theflyfishingbasics.com, Flies intentionally resemble insects that float atop the water’s surface. These mimics resemble Mayflies, Caddies, Grasshoppers or other terrestrial arthropods. Fly Fishing lures are made of a variety of materials and may include Duck feathers, natural fibers, glass beads and synthetics. Many saltwater anglers combine these materials to make their own flies to resemble baitfish and crustaceans. With the right Fly and a well-executed cast, it’s a cinch to pull fish from Florida’s Everglades. Everglades National Park is the most convenient way to access Florida’s brackish waters. The Park may be accessed from one of three entrances. These entrances are not connected, due to the park’s massive size – the park encompasses 1.5 million acres of pristine wetland (National Park Service NPS)! The Park offers anglers shoreline and thousands of islands to Fly Fish from. 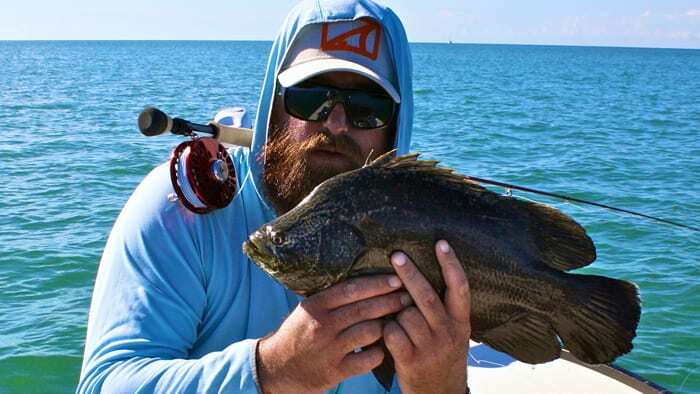 Everglades National Park has a fishing experience for all anglers. According to the National Park Service (NPS), some anglers deploy expensive rods and ocean worthy watercraft, yet others reel-in fish with a basic rod and bait. Although the Park may be fished from the shoreline or via watercraft, the angler merely requires a simple rig to reel-in fish from the shoreline. Everglades National Park offers premier Fly Fishing, however, you may want to depart from the beaten path. Fort Lauderdale’s Holiday Park is a lesser known angler’s paradise. Florida offers a number of parks with access to the Everglades. You must have a license to fish in public or private parks. But if you’re new to fly fishing the Everglades it is best to start with a local guide.